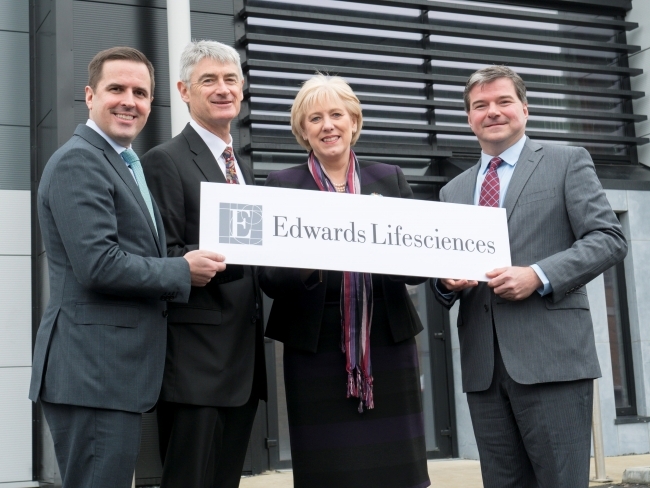 Edwards Lifesciences Corporation, has announced it has chosen the Mid-West of Ireland for the location of a new purpose-built manufacturing plant that, once fully operational, will create up to 600 new jobs by 2020. Edwards’ investment in the project is expected to amount to approximately €80 million. Edwards is the global leader in patient-focused innovations for structural heart disease and critical care monitoring, and this new addition to Edwards’ global supply network, which includes a similar existing facility in the United States, will initially be configured to support the manufacturing of therapies that enable minimally invasive procedures on patients’ aortic, mitral and tricuspid valves, where open heart surgery would previously have been the norm.